War is a socio-historic phenomenon, that is constantly developing and changes form rapidly, due to the immense development of military technology (accomplishments in industrial defense), which goes along with military inventiveness. In parallel, a need arises to shift the rules of war conduct (e.g. law in military conflicts), that is to say attempts have been made to normalize situations, which from the outset were unregulated. Man is a subject of war, who possesses consistent physical and intellectual features, is integrated in a relatively steady geographical and social environment and therefore some common characteristics are observed in the perception of war. Undeniably vigilance of military thought is observed worldwide, increased interest of the theory and in parallel an effort to enforce new operational doctrine so that the existent elements of «soft» and «hard» power can be exploited towards the accomplishment of military and strategic goals. The Doctrine which consists of a sum of theoretical ranks (a «package» of military calculations in theory, methods, procedures, guided ideas, guidelines of action) defines the structure of the organization, the supplies, the manner of training and action of the armed forces both in time of peace and during periods of military operations. The purpose of this paper is, to provide an analysis about the emerging organizational philosophy within the American Armed Forces. The term Multi-Domain Battle (MDB) encompasses operational innovations which are analyzed with this very text for the first time at a national level, it is speculated that they will dominate every aspect of modern conflict during the next years. The new military philosophy of the multi-domain battle may very well become the new operational doctrine, gradually replacing the current perception of Air-Land Battle or it will have the same «fate» as the Strategic-Land Battle? The innovations of the M.D.O may possibly become a useful tool through which on the one hand, the impressive evolution of abilities of potential adversaries be bypassed, on the other hand will create strategic advantages which will lead to the swiftest attainment of military purposes. 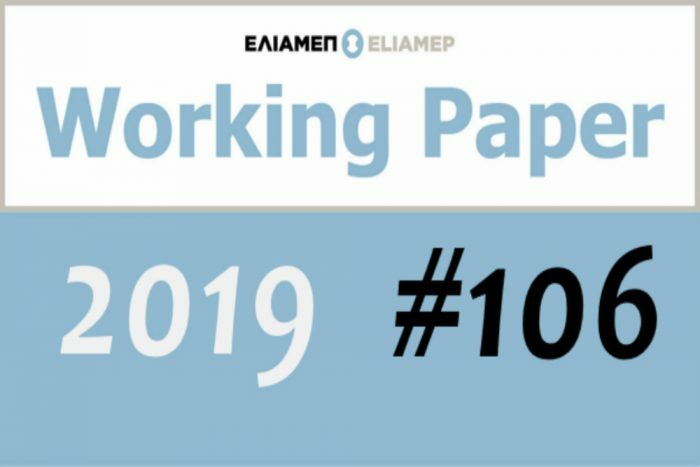 Υou can read the working paper, in Greek, here.